The Laurentians are just beginning to show their world-famous fall colours as I drive, windows down, along a winding road toward what I've been told is a great trout fishing spot. 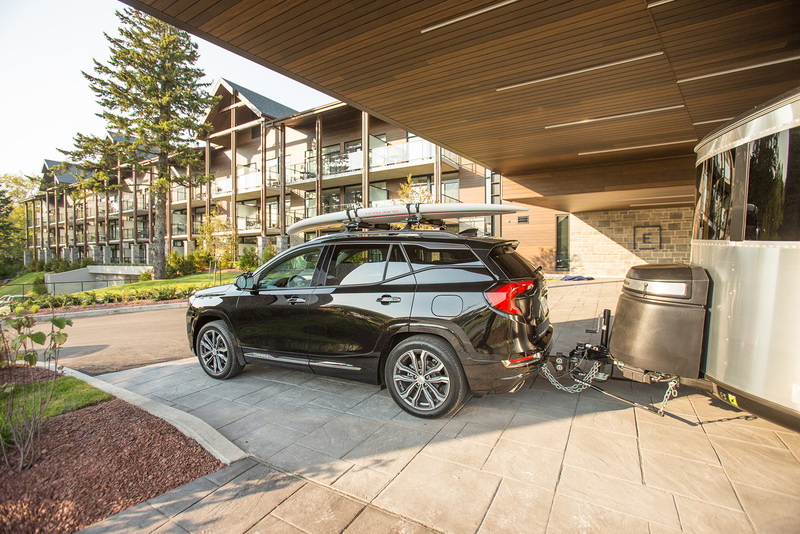 GMC has sent me here to Lac Beauport, just north of Quebec City, to test drive the new 2018 GMC Terrain. The five-door, five-passenger SUV is fully-loaded for a weekend of outdoor fun (by folding the back and front seat flat, I was even able to slide a kayak inside without using the rooftop rack), but it handles the tight turns exactly as GMC's new slogan proclaims: like a pro. The dashboard console has the look and feel of a smartphone interface, with apps to connect your music, make a hands-free call, contact OnStar roadside assistance, and of course, navigate to your destination. Using the multi-touch display, which allows you to pinch zoom, swipe, and scroll through maps, I'm able to easily find my way to our hidden fishing hole. It turns out to be just as good as advertised: over the course of a couple of hours, I catch (and release) six gorgeous rainbow trout. 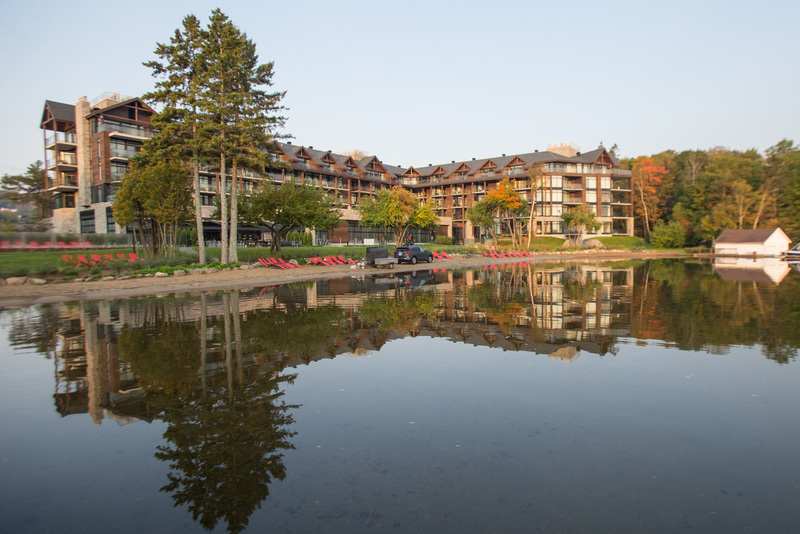 My base for the weekend is the Entourage Sur-le-lac Hotel & Resort, situated on Lac Beauport about 25 kilometres north of the provincial capital. This new all-season resort, opened in September, is a comfortable, welcoming spot to enjoy the best outdoor activities the region has to offer. The guestrooms and public spaces feature sweeping views of the lake, seemingly intended to inspire you to spend as much time as possible enjoying the many activities around the property, which include a pool, walking trails, boating and trout fishing by reservation in the summer, and skating, cross-country skiing, and snowshoeing in the winter. The resort is also located within close driving distance of several downhill ski areas. 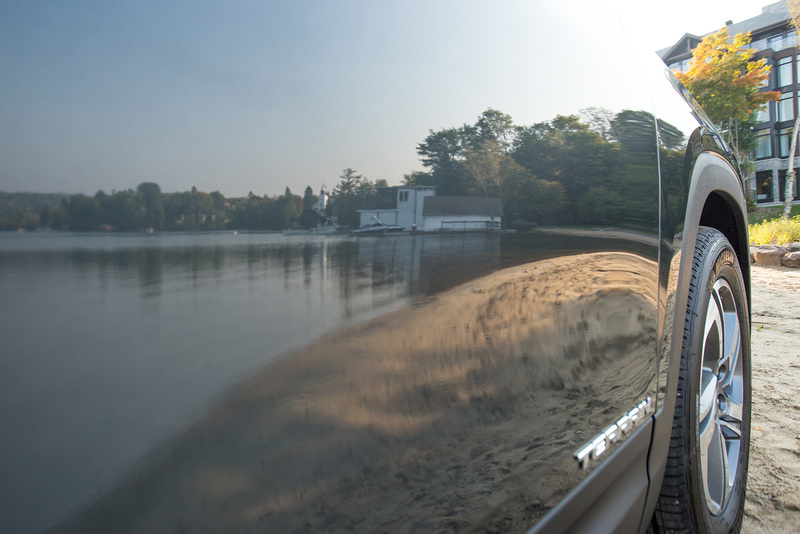 The morning after my fishing experience, I hop back in the Terrain and drive to Excursions Jacques Cartier in nearby Stoneham-et-Tewkesbury. 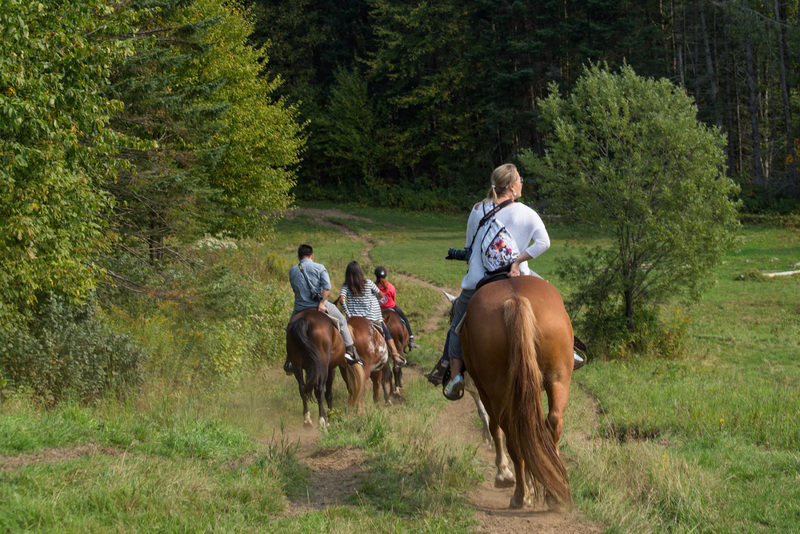 The adventure company offers whitewater rafting on the Jacques-Cartier River, or excursions on horseback into the hills. The latter is a peaceful and relaxing way to take in the late summer sunshine and yellowing trees, but I'm eager to take another drive on the twisting back roads. In addition to being practical and spacious enough to hold a weekend's worth of camping supplies, the Terrain is an attractive and fun vehicle to drive. Its aerodynamic build cuts down on wind noise (the better to enjoy your road trip playlist), and the seamless windows provide a panoramic view of whatever incredible Canadian scenery you're chasing. Even traffic jams (which I encounter en route back to Entourage after dinner in Quebec City) don't seem as bad when you're riding high above the road, checking out the views. I spend a lot of time exploring the lakes and parkland around Ottawa, where I live. I'm excited to rent a Terrain again for my own weekend adventures.